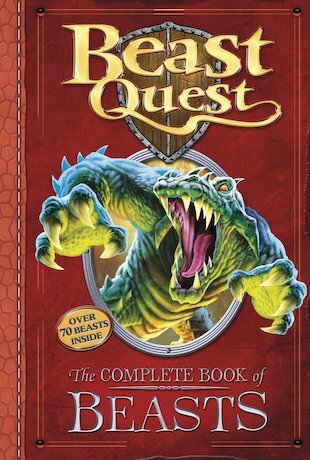 Every hero needs the Book of Beasts! Tom’s defeated so many murderous monsters it’s easy to lose count – but each one has its own strengths, weaknesses and savage skills. Learn to predict each Beast’s key powers and prepare your fighting methods so that none of these cruel killers can surprise you! A must for any warrior who wants to join the Quest, this awesome illustrated manual gives you the lowdown on over 70 terrifying foes. Gain secret insider knowledge, learn must-know fighting facts and study each monster in amazing colour pictures. Get to know your enemies so you can defeat the Beasts before they lay waste to Avantia!